Mother’s Day is approaching fast. On this occasion, online shoppers spend 38% more than their offline counterparts. That being said, this would be a great opportunity you should never miss out on to boost your sales. 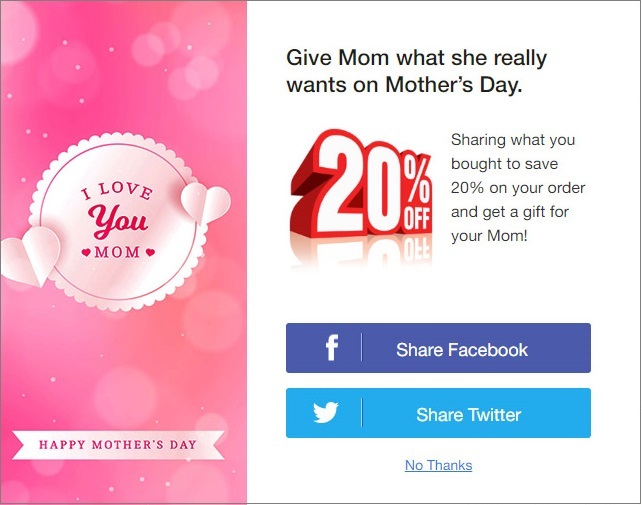 How about bringing the Mother’s Day look and feel to your store to motivate customers to buy more? 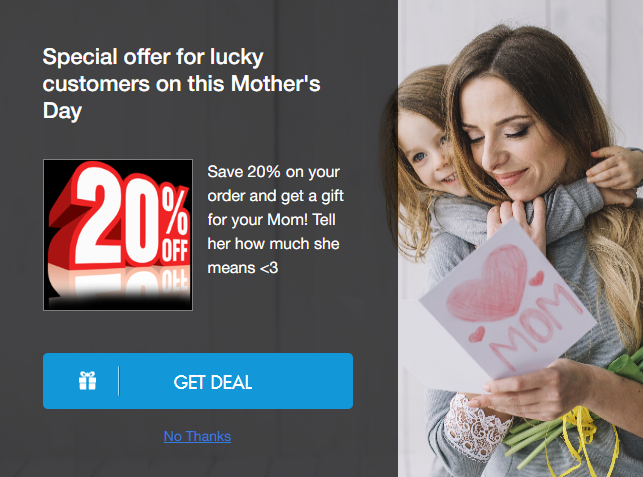 We’ve curated a bunch of Mother’s Day themes for Checkout Boost app which is easy-to-use yet eye-catching in order to encourage shoppers to make their purchases right away. And it’s all FREE for all of our Checkout Boost users! 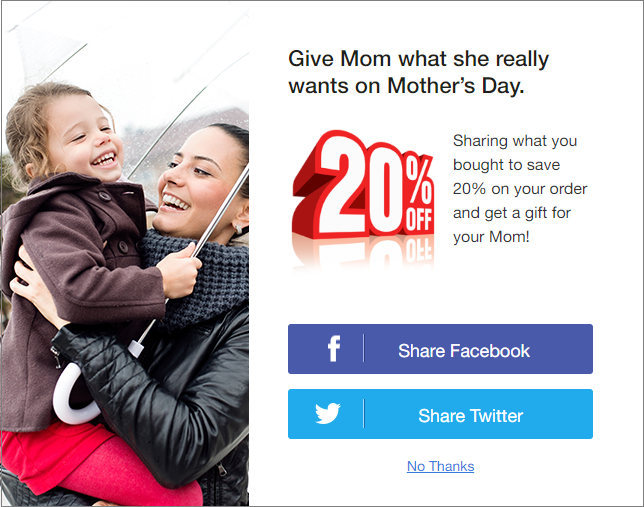 Love these Mother’s Day pop-ups? Simply contact us to get them for you. The perfect gift for Mom is the joy you create. Give Mom what she really wants on Mother’s Day. Send your Mom a gift and shipping is on us! Send her our love too. If you’re looking for Mother’s Day gifts, you’ve come to the right place. Have a look around and find something special for Mom this Mother’s Day. 20% discount is waiting for you. Make May 13th a day to remember for the best mamas you know with our budget-friendly gifts. Plus 20% discount! Don’t forget to contact us if you want to get these awesome templates and apply these suggestions to your Checkout Boost app. We will make you become our Power User and then send you these beautiful templates right away. Simply upload the image you like to Checkout Boost, then you are good to go. Happy Mother’s Day to all Mothers in the world!